From its professional sports teams to its great food scene, Minnesota is a popular point on the map that many people put on their list to visit. After a visit, many people decide to make Minnesota their permanent home. Despite its frigid winter weather, the state is filled with beautiful, natural scenery. Its largest city, Minneapolis, is home to over 400,000 people. When you are visiting or moving to the area, you will want to take your car with you to get from place to place and explore all the sights. The easiest and fastest way to get your car to its destination is with the help of an auto transport company. National Dispatch offers hassle-free car shipping services to make the transition to your new home an easy one. Learn more about Minnesota Car Shipping. Why Use Car Transport Services To Move To Minneapolis? If you are moving to Minneapolis from across the country, it might sound fun to take a cross-country road trip. You get the chance to sight-see along the way. However, it does come with its challenges. There is another option available that is both easier on your wallet and on your car. It is car transport. Below, you will find a few reasons why hiring a professional auto transport company is beneficial. When you drive your car across the country, you put it at risk. It is susceptible to damage from road accidents or failure on the highway. You also run the possibility of running into traffic delays or inclement weather. Not to mention, a road trip across the country means thousands of miles, which can put unnecessary wear and tear on the vehicle. Auto transport is a safer way to transport. Not only will you safe your car added mileage, but you can also protect it from weather and road elements with enclosed auto shipping. A road trip across the country means many hours behind the wheel of a car. When moving, you already have many tasks on your To-Do lists. You do not need to add another. Auto transport makes your life easier by providing convenient services that meet your schedule. With door-to-door auto shipping, you can get your vehicle picked up and delivered directly from your home or place of business. You can be rest assured that your car will be delivered in a safe and quick manner. 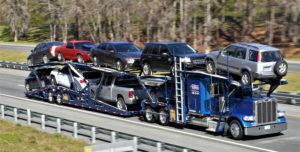 Many think that car transport services are outside of their budget. However, it is quite on the contrary. Car transport services can be affordable. Consider how much you will spend if you choose to drive your car across the country. Traveling across the country adds up. You will need to pay for food, hotel stays, and gas along the way. Let’s not forget about unexpected expenses, such as breakdowns and delays. Minneapolis is the largest city in Minnesota. It forms “Twin Cities” with its neighboring state capital, St. Paul. There are many things that make Minneapolis a unique place to live, work, and play. Did you know that the creator of the Peanuts comics lived in Minneapolis? 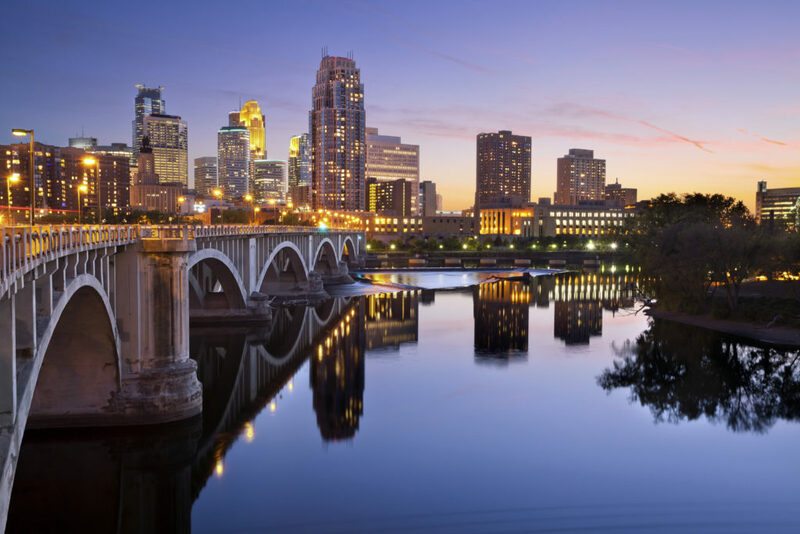 Find out more about Minneapolis, below. There are plenty of opportunities for outdoor recreation. Go to the Chain of Lakes, where you will find seven lakes connected with trails that you bike, walk, and hike. Many spend their time boating, fishing, and swimming by the lakes. These lakes also make the perfect locations for a peaceful picnic. It is a city of professional sports teams. There are four professional sports teams located in Minneapolis. If you love Baseball, catch the Twins play at Target Field. If Football is more your style, then the Vikings are the team to cheer for. Basketball fans can go see the NBA’s Timberwolves or WNBA’s Lynx play a game. There is delicious food. Many restaurants in the city have received awards and recognition for their mouthwatering cuisine. You don’t have to go far to taste food from a variety of countries, including Brazil, China, Germany, India, and Mexico. These can all be found in Minneapolis. It is a city full of art. From its Art Center to its Sculpture Garden, Minneapolis is filled with numerous opportunities to enjoy the beauty of art. The Minneapolis Institute of Art is also located here. If you are thinking about moving to another city or state, you will want to use auto transport to get your car to your new home. We understand how stressful planning a move can be. It requires a lot of time and effort to get everything in order. Count on National Dispatch to get your car to your destination safely and quickly, relieving some stress from the entire process. A common question people have about car transport services is “How much will it cost to ship my car?”. It depends on your a variety of factors. Some factors that will affect the cost of shipping include: distance, type of vehicle, time of year, location, and type of carrier. Keep these factors in mind when booking auto transport, as different services may cause your quote to be higher or lower. How do I get a quote? Requesting a quote is easy. On our website, enter the vehicle make, vehicle model, pickup location, and delivery location into our quote form. Some companies require you to put in a bunch of personal information, such as your email or phone number. However, at National Dispatch, we make the process as simple as possible. No personal information is required, and you will receive a free quote in a matter of seconds. National Dispatch ships vehicles nationwide for a wide range of customers, including those moving to a new home, going to college, purchasing a car out of state, vacationing, relocating for a job, and more. Learn more about our auto transport services. Call us at 800-321-2051 to speak with an auto transport representative. We also have a live chat feature on our website.